Can you believe it’s only 7 days until Thanksgiving Day is here? Where does the time go. Weren’t we just passing out Halloween candy. There’s a lot to get done before next Thursday, if you are in charge of the meal planning for your family. Have you already started your planning and preparing? Guest listing – Are all your invites out there? Menu planning – Are everyone’s favorites included? Grocery listing – Did you check your spice cupboard? Grocery shopping – Will you get the turkey you wanted? Pumpkin pie baking?? – My oldest son has taken over this task. I love it. 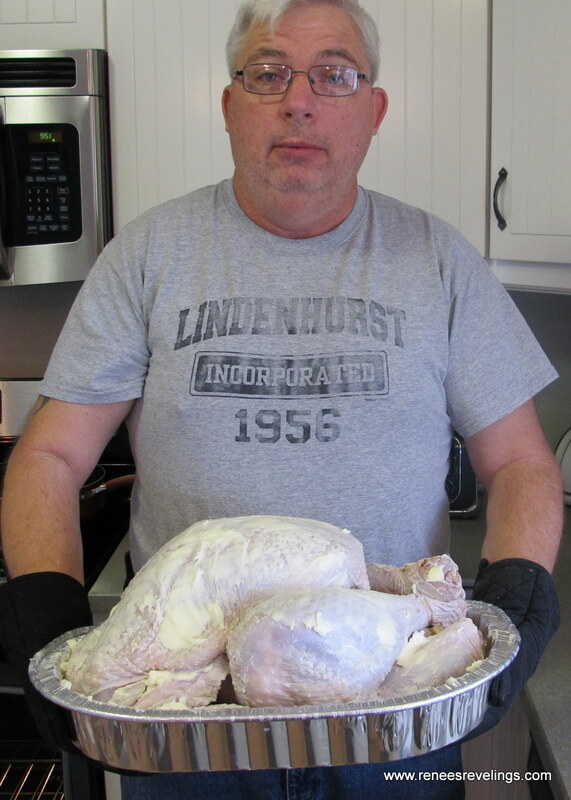 Turkey Thawing – What day does your turkey need to be in the fridge to be ready for baking? Side Dishes – Have you delegated your side dishes out to family and friends? Drinks – Did you give someone the task of bringing the wine? This is probably one of my favorite holidays of the year to be with my family, and just eat, visit, and enjoy each other’s company. No other commemorations or gifts are attached to this day, just counting your blessings and being thankful for the wonderful family members that gather around your table for an amazing meal. I am in the midst of the planning for our meal for about 10 people this year. I will be looking forward to letting you all know how our dinner turns out. Let me know how the planning is going in your neck of the woods.